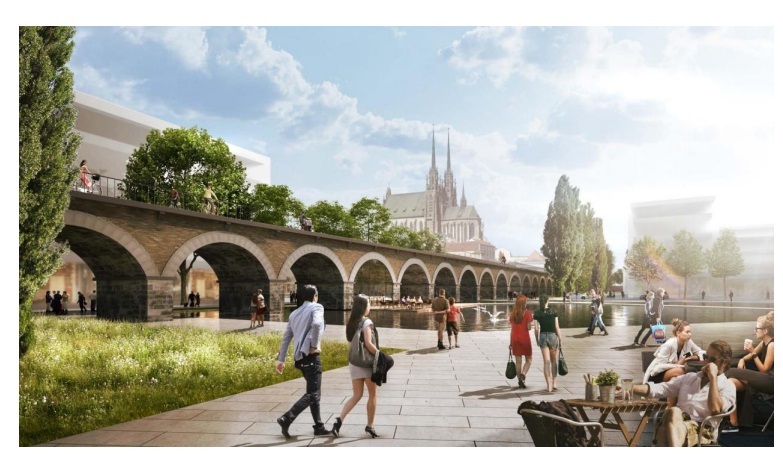 The Central Committee of the Ministry of Transport has announced that the new Brno Central Station (Hlavní nádraží) will be located by the Svratka River, in the area of the Lower Railway Station (Dolní nádraží). Visualisation: Brno viaduct. Winning “by the river project” of authors: Sdružení Koleček – Jura, architects Lausanne – Brno. Credit MMB, 2016. Brno, Jun 4 (BD) – The Committee’s decision approves previous resolutions passed by representatives of the City of Brno and the Region of South Moravia. “The move will primarily benefit the City of Brno and make room for the organic development of its centre,” said Transport Minister Dan Ťok, according to a post on the city’s official website last Wednesday. The Committee is now considering the four alternatives for an underground transport connection, the so-called ‘North-South Rail Diameter’ (Severojižní kolejový diametr). This new transit connection, which some people are calling “Brno’s subway”, is to connect the north of the city with the centre and the south. You can read more about it in Brno Daily’s previous article: “Brno underground line alternatives”). Visualisation: Park behind the station building’s current location. Winning “by the river project” of authors: Sdružení Koleček – Jura, architects Lausanne – Brno. Credit MMB, 2016. The Committee will now prepare documentation for the national government, which will have the final say on the new station’s location. When that decision will be announced is currently unknown. Construction costs are estimated to reach over 40 billion Czech crowns. On a recent visit to Brno, Acting Prime Minister Andrej Babiš was critical of the estimated costs. “At 46 billion for a train station, one is really surprised by the sum,” said Babiš according to Czech news outlet iDnes.cz (“Nové brněnské nádraží se zdá Babišovi drahé, vláda chce informace”). 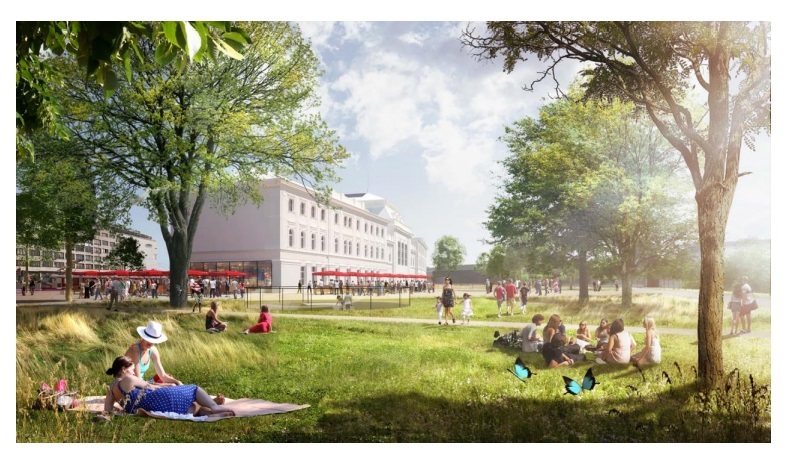 The citizens of Brno have already expressed their views on the location of Brno Central Station in two referenda, as well as an opinion poll in early 2018. Both referenda were considered invalid because of the low number of participants. The opinion poll favoured the station’s current location bordering on the south of the historic city centre.